When the German Reich is established in 1871, a large integrated economic area is created. Wilhelm Brauns and the Heitmann family make use of these favourable trading conditions. They go into business, and their companies produce textile dyes for domestic use. The product range undergoes rapid growth. Impregnation products soon become a fixture in the portfolio. 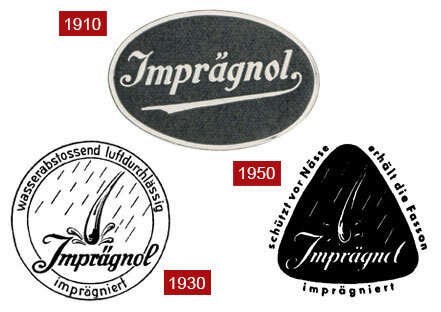 To highlight the quality claim and protect the name, IMPRÄGNOL is registered as a brand in 1908. 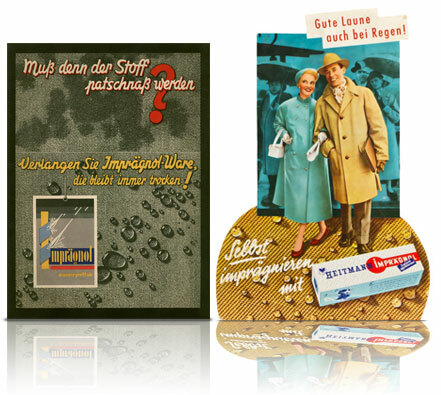 Since then, we have developed innovative impregnation products under the IMPRÄGNOL brand. Aside from reliable protection, we place great value on a convenient, safe application. This is illustrated particularly well by our practical CFC-free IMPRÄGNOL sprays. Today, IMPRÄGNOL leads the impregnation product market—with outstanding products made in Germany.